If you have teeth that are crowded, too far apart or that have moved since wearing conventional braces, Invisalign invisible braces may be the answer for you. Invisalign is a revolutionary brace that guarantees straighter teeth without the metal wires and brackets, meaning the braces are more comfortable to wear. Invisalign braces are removable so that you can eat and drink what you like. The convenience and ease of use have made Invisalign the choice of almost 3 million people. Using the latest 3-D computer technology, custom made removable mouth trays (aligners) are created under the dentists instruction. A series of aligners are worn over the course of the treatment, all slightly different moving your teeth gradually into the desired position. Invisalign only works while you wear the aligners. we therefore recommend they are worn day and night (minimun 22 hours) Each aligner is worn for 2 weeks (before moving onto the next in the series), moving your teeth millimetre by millimetre, week by week until you reach your desired result. Treatment varies for each individual case, however the average treatment is 9 to 18 months. Regular dental treatments are required during the treatment, until it is determined that your treatment is complete. Our dental nurse has undergone her own Invisalign journey, so if you have any questions come in for a chat with Tammie and she can give you a real perspective of the procedure and treatment. 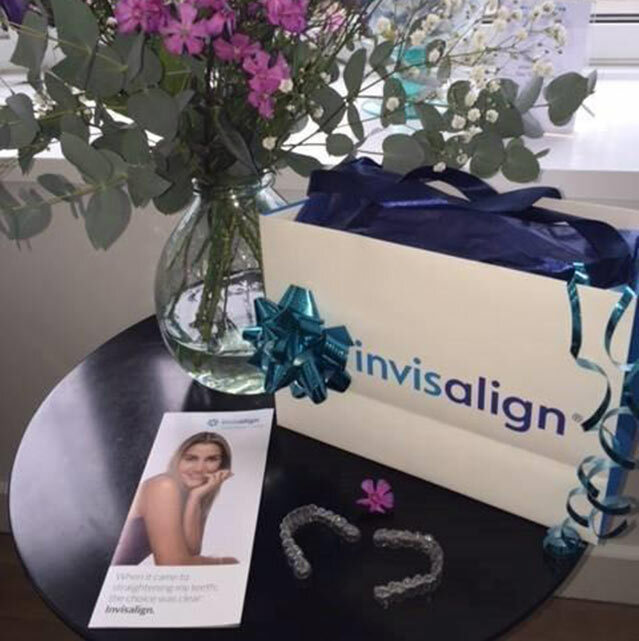 If you would like more information about Invisalign braces, or to book an appointment at Ice Dental Spa, please contact our friendly team by calling 01604 757360.